Mumbai: Levi’s® celebrates the power of women and their determination to inspire change, with the fourth edition of its successful #IShapeMyWorld campaign. The stories featured in the last three seasons have helped the campaign take the shape of a movement that unites diverse women – by inspiring them with powerful stories of unstoppable women who have shaped their world on their terms. Arjuna awardee Jwala Gutta has always been in the thick of action both on and off the court. Jwala’s story is about following one’s path, staying focused and not accepting pre-conceived notions of the world about gender or popular acceptable behavior. 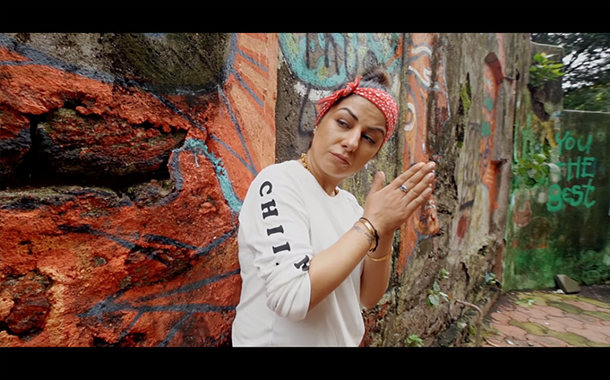 In her journey from being a regular Punjabi girl to being one of the most renowned rappers in India, Hard Kaur has worked her way up with no short-cuts. Braving the pressures of the otherwise male-dominated industry, she turned her life around by focusing on her passion, i.e. music. Her story of staying true to her name and boldly paving her journey is an inspiration to several artists in the country today. Bollywood singer, Aditi Singh Sharma never gave up on her dreams and continues her quest today. From not knowing Hindi properly, to being the only girl singing in a rock band, to going door to door with a demo CD to all musicians, Aditi has done it all. Aditi’s story is all about moving forward and overcoming all challenges in her way. Born in Banaras, UP, a conservative ecosystem, where women are only expected to stay within the confines of their kitchens and homes, the Singh sisters decided to be the change. Fueled by their passion for Basketball the sisters channelized all the negativity being poured on to them to become the forerunners of women’s basketball in India. By fighting the conservative society and living their dreams, the Singh sisters have set an example for others to follow. Since the last season, Levi’s® has gone a step further by taking this campaign on ground with a Live session. The Live session will see two of these inspiring women in an intimate conversation with a curated set of audience adding on to these power-packed stories. A live session with Jwala Gutta will be held in September 25, 2018 and Aditi Singh Sharma’s live session will be held in September 27, 2018. Tags: #IShapeMyWorld campaignAditi Singh Sharmacelebrates the power of womenDirector Marketingfourth editionLevisLevi’s® brandLevi’s® IndiaMeeta Bharvanisuccessful #IShapeMyWorld campaign.